10 months ago, TheEmployable faced redundancy. A consultation was called. We knew, whilst the formalities had to be completed, that the writing was very much ‘on the wall’. However, with a career history in management, recruitment, sales and HR, and with a little time on our hands, we thought it best to share our knowledge and experience. We created TheEmployable with a mission to improve the quality of honest career advice that is available to the job seeking public. Over the last 10 months, we have written pretty much every single day! Written articles that we would like to hope have featured informative tips and advice, inspirational news stories and interviews, all with the underlying aim of empowering the employable person to improve their job prospects. And that ’employable person’ could be anyone – whether they are a recent graduate, someone facing redundancy, a disillusioned worker, or simply someone looking to create their own job and future. 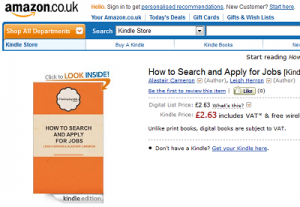 We never would have imagined all those months ago that we would one day have a career book hitting the e-bookshelves! But that is just what is about to happen! 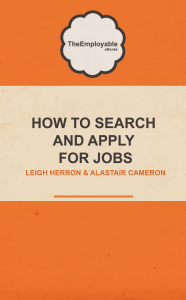 Our 1st Ebook ‘How to Search and Apply for Jobs’ relates to the part of the job seeking process that jobseekers often get wrong, or take for granted. 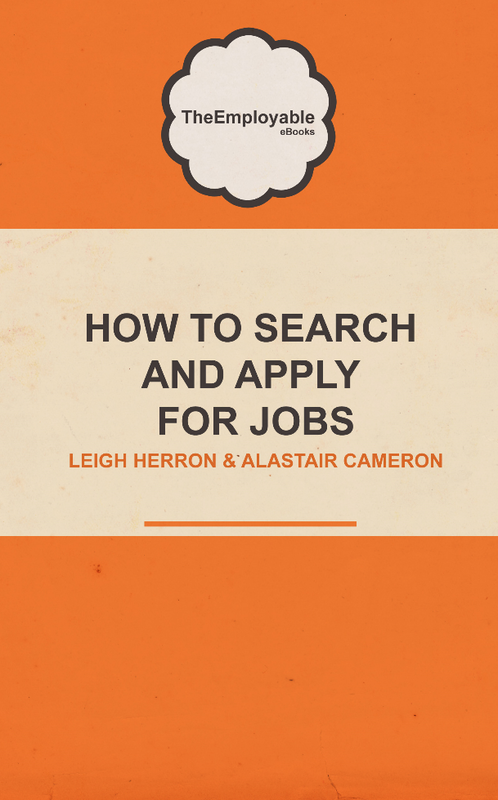 However, this is the part of the process, that is fundamental for jobseekers to get to ‘first base’ i.e. having an interview. Just wanted to say all the best with the e-book. Just got my copy for Kindle so will have a read & leave a review on Amazon. Thanks Aidan! We really appreciate it! Congratulations and well done! Great advice, all in one place. Invaluable reading in these hard times. What a great piece of informative work! I am sure that many of the worlds employable can and will benefit from the hard work done by “THE EMPLOYABLE”. 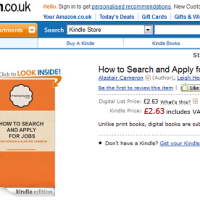 Lets hope that another, who bears the name Cameron, will read this ebook and takes action to create jobs that can be “searched and applied for”.